You will need to Register a New Site as shown in the image below. You will need to Add Label, Choose the type of reCAPTCHA, Add a Domain Name and then Accept the reCAPTCHA terms of service. Once done then Click on Register. Once you register the Site you will be redirected to the page with Site Key and Secret Key as shown in the image below. Take a Copy of both the keys. Now Login to your Control Panel (e.g. cPanel’s url will be https://domain.com:2083) and login with your details. 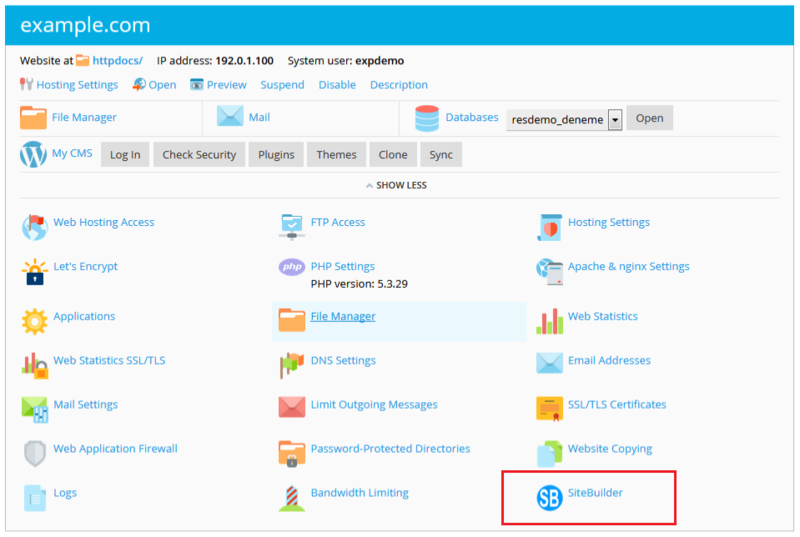 Then click on the SiteBuilder Icon or Link. 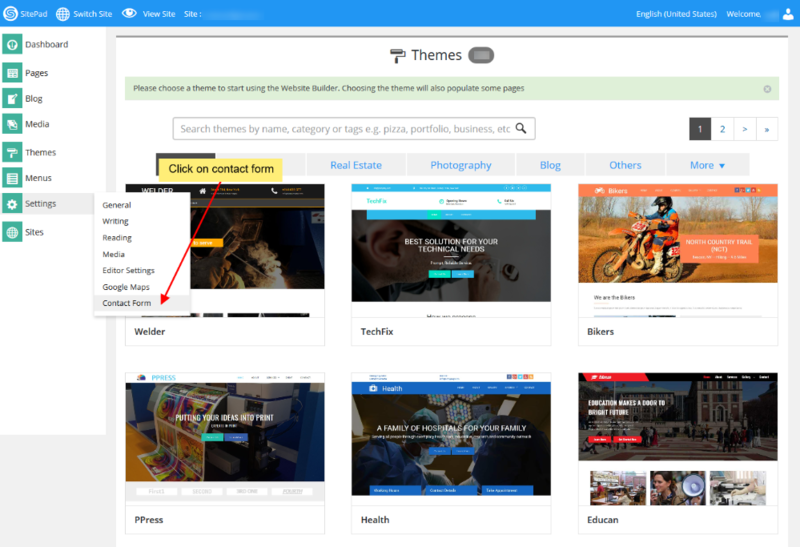 After being redirected to SiteBuilder Website Editor Hover on Settings on the left Sidebar you will see option for Contact Form. Click on Contact Form as shown in the image below. On Contact Form Setting Page you will see input box for reCAPTCHA Site Key and reCAPTCHA Secret Key as shown in the image below. 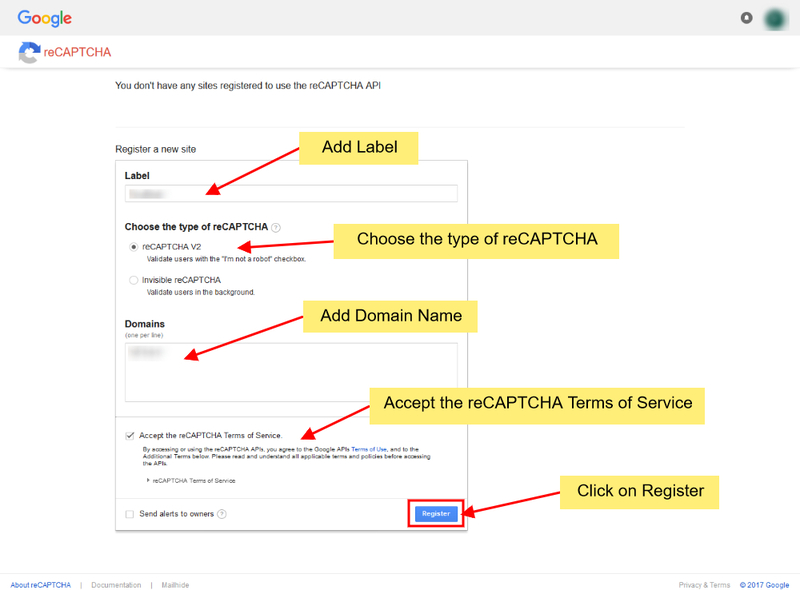 Fill in the site key and secret key from the Google reCAPTCHA registration page. Once done click on Save. The reCAPTCHA that you added will be registered and now you can use reCAPTCHA for contact form.